In the coffee industry, there are many standards that have just been blindly accepted. There have lead to many debates. 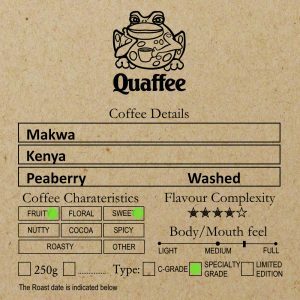 We as Quaffee believe the acid test was to do it on our own experiments on our fresh roasted coffee. We did a number of tests on available packaging around coffee bean freshness. The result was that we found that the poly-prop based packing we use. This packaging, in most cases met if not exceed expectations on the storage of the coffee. The vacuum or valve based bag you see in stores, is a triple layered bag with foil and two plastics. This means it cannot breath and once it is opened needs to be de-cantered for the coffee to last. We found that with the zip-lock poly-prop based bag the coffee aroma was the first to go. Even with our 1kg zip lock bag opening it over and over again; when cupping the coffee it took about 6 weeks before we could identify aroma changes, when the coffee bag was stored in a cupboard. While the traditional triple layered bag would last no more than 4 weeks, since they are totally in effective once opened. We also did the same test with a sealed bag, and found up to 6 weeks the triple sealed bag and the zip lock bag smelt and tasted the same and in a blind tasting to fresh roasted coffee (actually it was 24 hrs old) neither could be distinguished. When we moved to freezer testing the triple laminated bags did not fare well at all and these bags should never be used in a freezer. With the zip lock bags we were able to extend the life of the coffee to about 2.5 months until cupping the coffee found a difference. These tests where done on whole bean coffee. 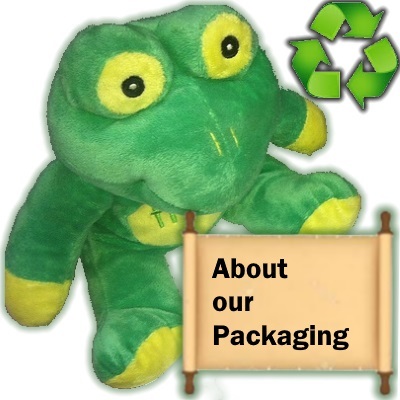 The coffee packaging we use is not only local (so it reduces footprint) but is also full recyclable.